We have been in continuous operation since 1981, serving the people of San Luis Obispo and surrounding communities. We are now servicing the cars and trucks of the children of many of our original customers, and when their kids begin driving we hope to serve them as well. 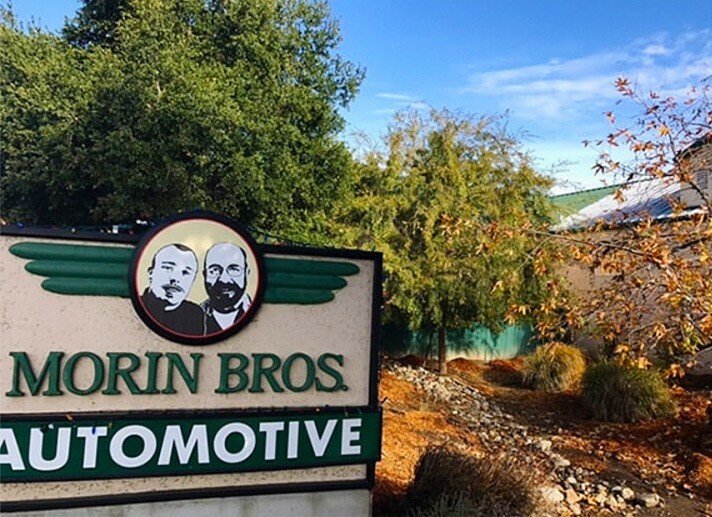 We value the relationships we have built with our customers here in San Luis Obispo. It has been the best part of doing business here, and we try to return the goodwill we have earned by being of service to our community. Thank you for choosing us to service or repair you car, we do appreciate it! Our goal is to keep our customers' cars in the best state of repair possible, ensuring them safe, reliable transportation; and to educate our customers and potential customers in the best way to accomplish this. We accomplish this through unswerving devotion to quality and attention to detail, listening carefully to our customers, ongoing education and training, and maintaining up to date equipment and facilities. This will yield a profitable company, growing customer base and a happy and productive work environment. To evaluate and inspect every car that comes to the shop. To communicate needed repairs or services to the owners. To carry out repairs in an as efficient and timely manner as possible. To maintain a safe and clean work environment. To make education and training for our service professionals an ongoing activity. Call Us at (805) 706-0072. This is usually the fastest way to schedule an appointment. Visit our San Luis Obispo auto repair shop on 4090 Broad Street to make an appointment. We are located one short block South East of Tank Farm Road on the corner of Broad Street (HWY 227) and El Capitan Way. We can generally give you a ride to work or home (within the city limits) and pick you up if you let us know in advance that you will be needing one. We also have a loaner car that is available on a limited basis. Please ask about it when you book the appointment. We have a secure "Key Drop" at the front door for after hours drop off. There are envelopes provided in the box to the right of the office door. Please fill in the information indicated on the envelope. Please park your car in our lot in such a manner as to not block access to the service bays or the driveway. Be sure and lock your car and leave us the remote button if you have an alarm system. Don't forget to leave us a phone number where you can be reached during our normal business hours.